The tip is the same as on the Viggen. Polished stainless steel with "SAAB" letters on it. The muffler is actually made my Remus, Austria. 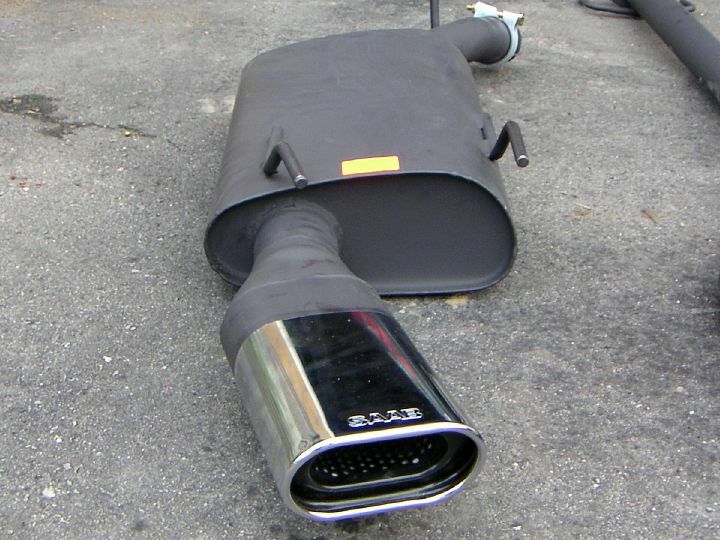 The Saab 9-5 Sport Exhaust as supplied by Saab USA.